Files on hard drive can get lost due to lots of reasons and many users often fail to protect data. In this article, several common reasons that cause hard drive data loss are listed and you can learn from them to better safeguard data. Hard drive damage is one of the most common causes of data loss. The damage can be quality problems such as manufacturing defect or improper usage, for instance, power surge. Apart from that, bad sector and hard drive components failure are also unavoidable causes. Disk file loss requires the help of professionals and recovery machines. The process needs the dust-free room, machines to read data from hard drive, alternative components, etc. Because, sometimes, experts have to open the hard drive and replace damaged parts to get the drive to work and then they can make image of data on the drive. Attempts to recover data simply with recovery programs will not restore files successfully. If your computer fails to boot due to system problem, then you might be anxious about data on the drive. Actually, there is no need to be so worried about it, as you can back up most of important data as long as you following correct steps. However, many users would rather restore or reinstall system as soon as possible instead of backup data, which lead to the loss of important data stored in system partition say desktop, My Document. No storage device can guarantee it won’t fail or go wrong for good. Hard drive also grows old after it has been working for certain period of time and one of its components might be broken. Then the drive will stop working and you’ll have to replace it with a new disk. Thus, we need to make backups for data before it’s too late. Computer virus and malware is really malicious to computer and great threaten to data, because private data might be damaged or leaked to others. It’s strongly advised to install anti-virus software and update to latest version. Some virus can spread to the entire computer including system and removable devices once connected to your PC. You have to be on alert when download program online or receive email from strange that contains applications. Accidental deletion of important is no longer rare history and many users have experienced that problem. Some users take believe that the file has already saved somewhere else and decide to delete this one and free disk space. However, in fact, the backup can’t be found anywhere. In some criminal or forensic situations, files might be intentionally deleted in order to erase evidence. The best way to prevent data from loss is backing up precious data to another hard drive or cloud services. And drives containing backup data should be placed in secure location, to ensure backup is available to restore data when data loss happens. If you do not keep a backup, you’ll need hard drive recovery software to handle the issue. Data recovery software is produced to retrieve deleted, lost, damaged or formatted files from storage media. 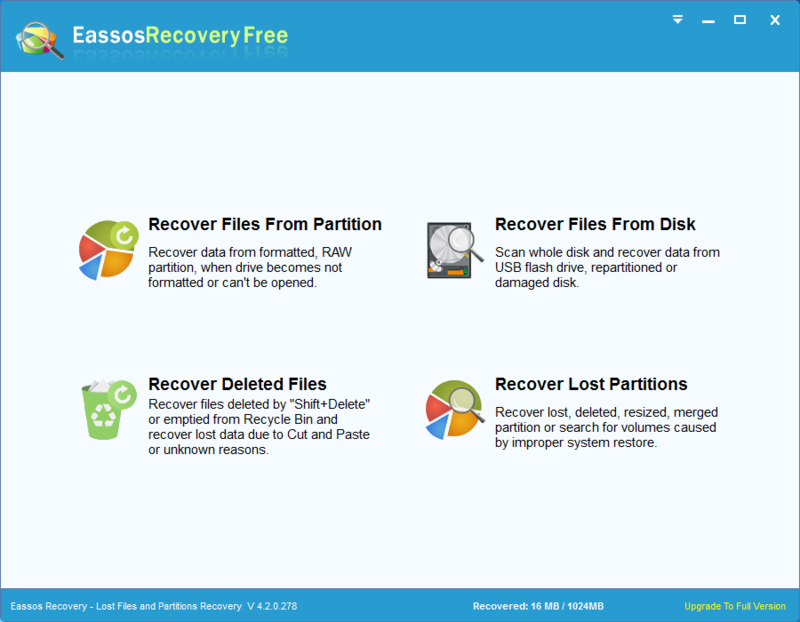 Eassos offers free data recovery software for all users and has helped millions of users fix data loss problem. 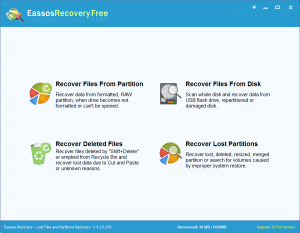 This entry was posted in Data Recovery and tagged data loss, data recovery software, hard drive recovery software by EASSOS. Bookmark the permalink.